My students are just starting the journey with multiplication fact fluency. I believe that they need to have a strong base with addition before they can move onto successfully being able to multiply. 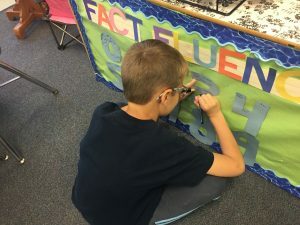 I wanted a way to showcase their accomplishment when passing levels of math fact fluency. 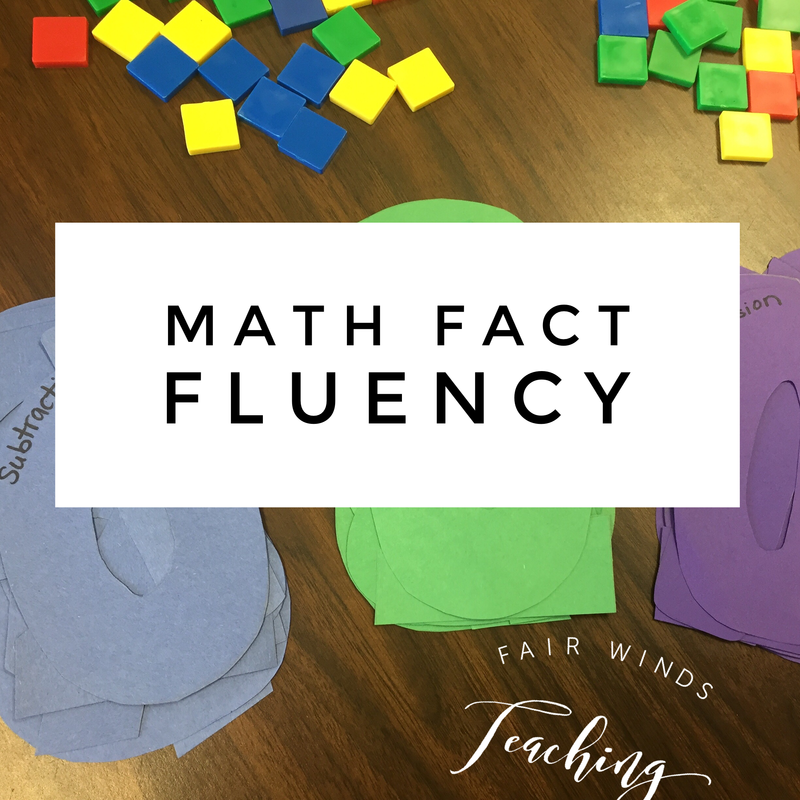 I use a lot of different reasons to help with math fact fluency, I even run a before school club called, Human Calculators. We focus on ways to help students become faster at memorization of facts. My number one favorite resource is a book called Number Talks; it is a great way to start having students mentally think about the “why” of math, not just the answer. The book is great for grades, Kindergarten to fifth. 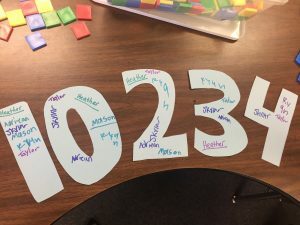 It starts off looking at using Rekenreks and tens frames to have kids start understanding how numbers are put together and how they relate to each other. Here is a great post on how to create your own Rekenreks from Math Coach’s Corner. Then the book moves through addition, subtraction, multiplication and division. I have created some how to videos for the multiplication strategies. I show these to my student’s parents so that they can support them at home with new mental math strategies. Check out my YouTube channel here and the post about Number Talks. 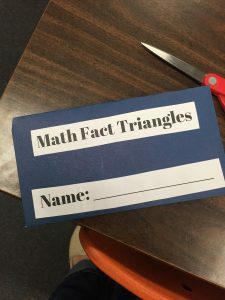 Other strategies I use are math fact triangles. The students in my class have a set for addition/subtraction and then multiplication/division. 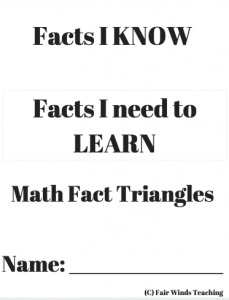 I use old folders to create little math fact triangle wallets. See that post here, and download the free document from my TeachersPayTeachers account. Then comes the FREE online programs that I use on the computer with my students. I switch it up because each of my students learn in different ways and respond to each of these programs differently. Once all four websites have been introduced, I start by having the kids try to pass each level (starting with addition), 0-9 and then move onto Subtraction, Multiplication and lastly division. To celebrate the students and show off their very hard work, I cut out 4 sets of 8” bubble numbers 0-9, each set in a different color. On the 0, I write addition, subtraction, etc. Then I create a place around the classroom or out in the hallway to display the numbers. When the student passes that level, they are allow to use the special pen to write their name on the bubble number. This keeps the students motivated and excited to pass the next level!